In the week of their Brit award nomination, the supremely sublime Soderberg sisters showed that the mainstream might just be heading in the right taste direction. 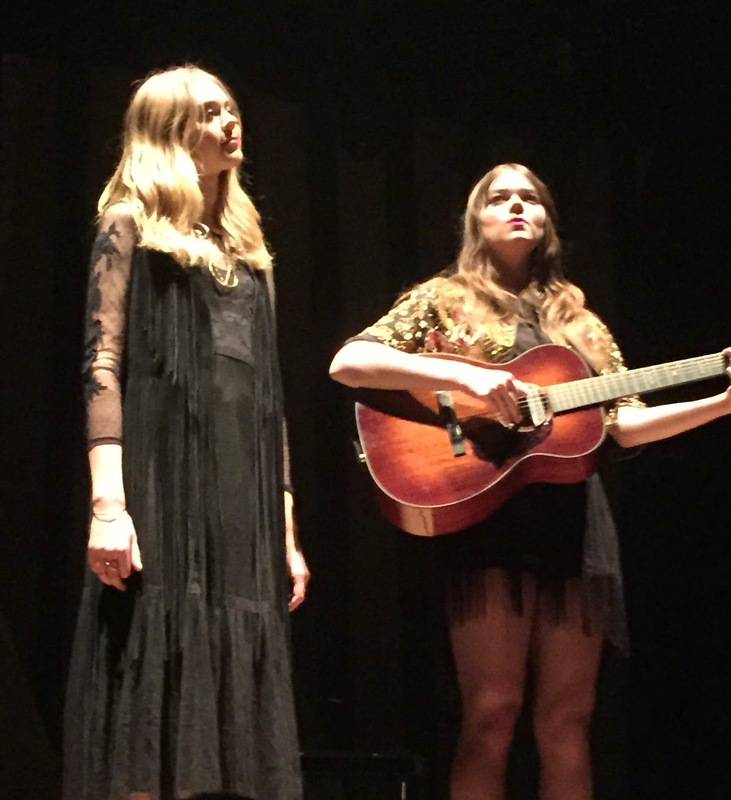 In the intervening couple of years since First Aid Kit last played a more intimate Birmingham venue, their international bandwagon has gathered pace cutting across both genre preservationists and more casual observers, residing for one evening only at a sell-out Symphony Hall. With a sound effortlessly floating between the alt wings of folk and country, while being briefly injected with a spiced up dose of pop and rock, the stage show of Johanna and Klara is awash with heavenly harmonies, memorable melodies and a reminder of the compulsive purity of roots music. The four piece stage line up may be symmetrical in its stance but much of the First Aid Kit sound is driven by the atmospheric dulcet twang of the pedal steel and who better to display his maestro talents than Melvin Duffy, one of the UK’s foremost exponents of the instrument. With the solid backfield of Duffy and Niclas Lindstrom on drums holding court, Johanna (keyboard) and Klara (acoustic guitar) had the liberty to explore the depth of their prodigious musical ability, schooled in Stockholm but now increasingly strengthened by a Stateside presence. 2014’s mega cool album release STAY GOLD had to virtually share equal billing with THE LION’S ROAR in the set list but that is far from a hardship with the near identical quality of both records. The ninety minute stage time hardly fluctuated in the magical experience of an absorbed audience gratefully gorging on the rapid song flow. ‘The Lion’s Roar’ perfectly set the scene as the clock struck nine and there was no finer way to send a crowd home happy than being serenaded with the signature tune ‘Emmylou’. From the latest album, the delectable ‘Stay Gold’ had an early airing, perhaps while the band were getting into full stride, but ‘Master Pretender’ and ‘My Silver Lining’ were presented in full glory. ‘Heaven Knows’ was always a prime finale candidate and it duly rocked as the filling in a three song sandwich encore. In giving a nod to their past and present influences, the girls interpreted the work of others on two contrasting occasions. Their recent liaison with Jack White in his Nashville studio led to a cover of ‘Love Interruption’, thus providing the evening’s rock induced moment with Melvin ditching the pedal steel for more conventional electric guitar. Simon and Garfunkel’s ‘America’ was given the First Aid Kit treatment in the encore as the sisters recalled the time they sang the song in front of Paul Simon in Stockholm. Few present would argue about the show’s golden moment as Johanna and Klara bravely came to the front of the stage and delivered a stunning unplugged version of ‘Ghost Town’ to the respectful audience. This proved to be the only tune lifted from their debut album THE BLACK AND THE BLUE but it held its place against the more popular material that has evolved since First Aid Kit spread their wings far and wide. As the Swedish sisters go from strength to strength, they gave an opportunity for a UK artist at the outset of her career to open the shows on this current tour. 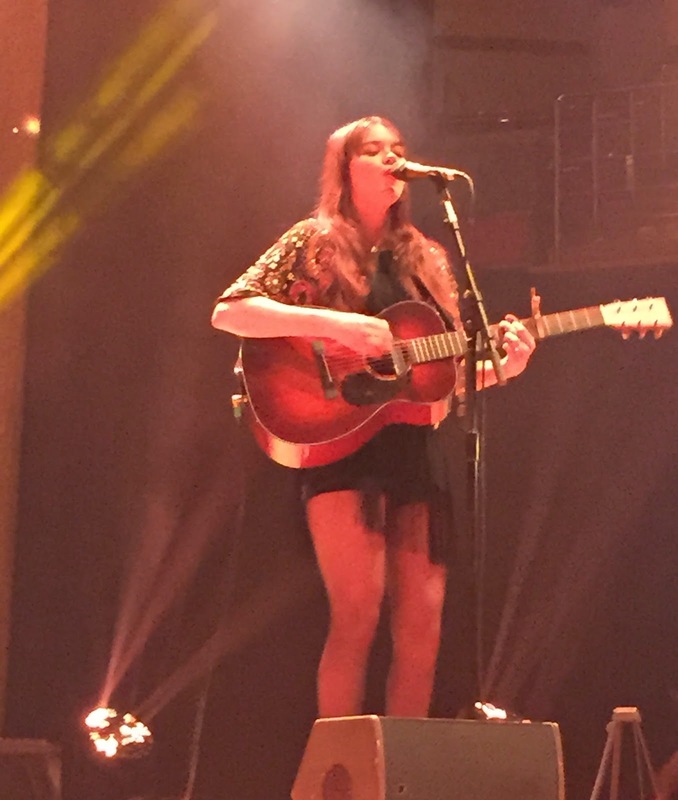 Bringing her eclectic style from Croydon to the stage of Birmingham’s most prestigious venue was a long journey for Kimberly Anne but she enthusiastically grabbed her thirty minute limelight opportunity to share the breadth of her undoubted musical talent. The bar for the 2015 gig year has been set high by this eagerly anticipated First Aid Kit show which failed to disappoint. Though still young in years, the acclaimed Soderberg sisters have created a distinctive sound that resonates right across the music spectrum with the mouth-watering prospect of much more still to come. 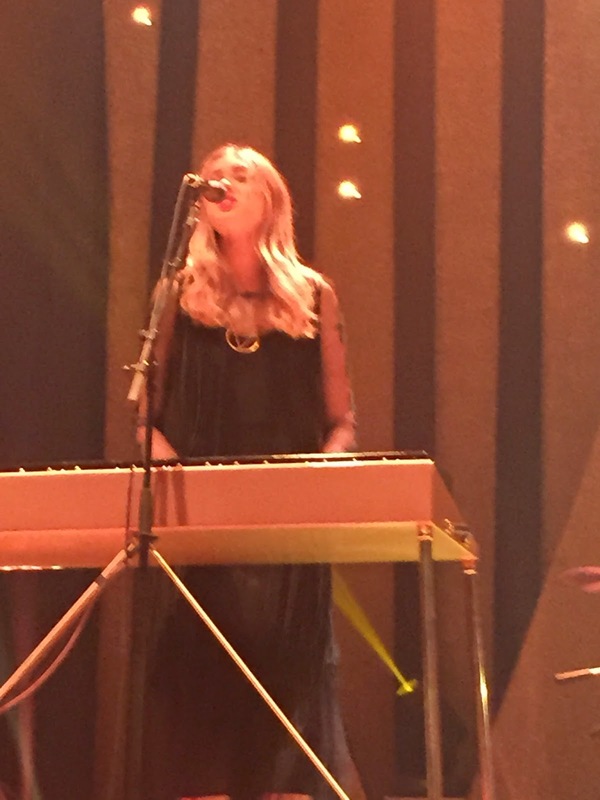 Right now, First Aid Kit make music the right way and long may that continue especially with the pedal steel guitar being king.